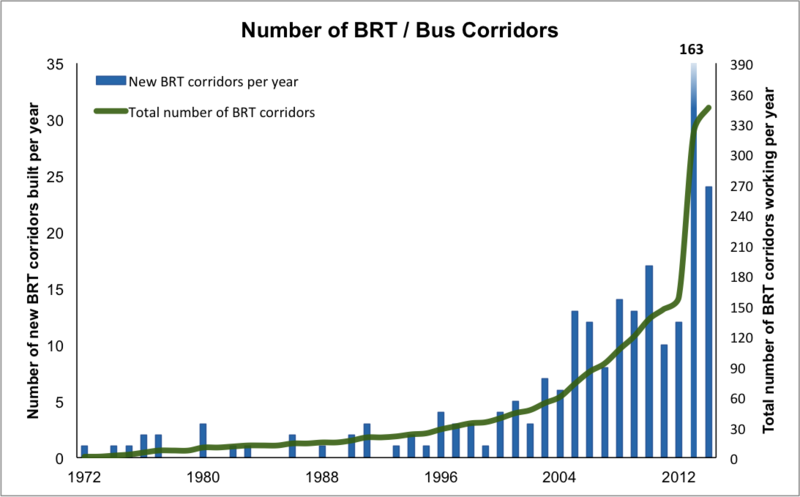 With the information that was compiled the BRTdata.org site was launched. It allows users to compare BRT systems and bus corridors in all 134 cities in 36 countries. The database includes 95 different indicators on system operations, design and cost, including metrics like the number of passengers per day, commercial speed, and the length of corridors. The website provides reliable and up-to-date data to help researchers, transit agencies, city officials, and NGOs understand and make better decisions to improve BRT and bus corridors in their cities. The development of an online database was a joint data-sharing effort. WRI and BRT+ CoE collected data mostly from Latin America, and the IEA contributed data from other regions.